Futuremark has released an update for 3DMark11, the new Direct3D 11 benchmark. 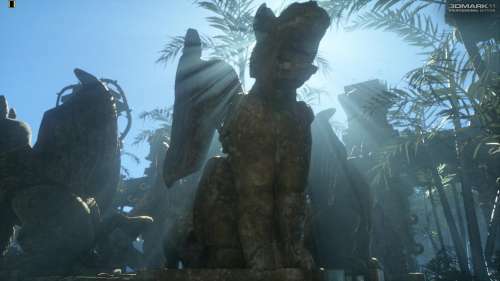 You can download 3DMark11 1.01 here: HERE. Fixed an issue with SystemInfo that prevented the Physics and Combined tests from running. Fixed an issue that could cause a crash if the DirectX 11 API or .NET was not available. Fixed an issue that could cause a crash if the number of system GPUs was unknown. Letterboxing and scaling now works with wide displays. The benchmark UI is now minimized during the benchmark run. Improved result security when submitting to 3dmark.com. Updated SystemInfo component to version 3.54.1.1. Added Scaling Mode selection to the Advanced tab, choose from centred or stretched. 3DMark11: OpenCL and DirectCompute Will Replace PhysX? Now I wonder why Nvidia hasn’t release a driver supporting SLI for this bench yet! after running : “….graphic card driver not supported”. I still get the Systeminfo problem though!